Hi Evelyn. The cards are well received. Thank u. It's very beautiful. 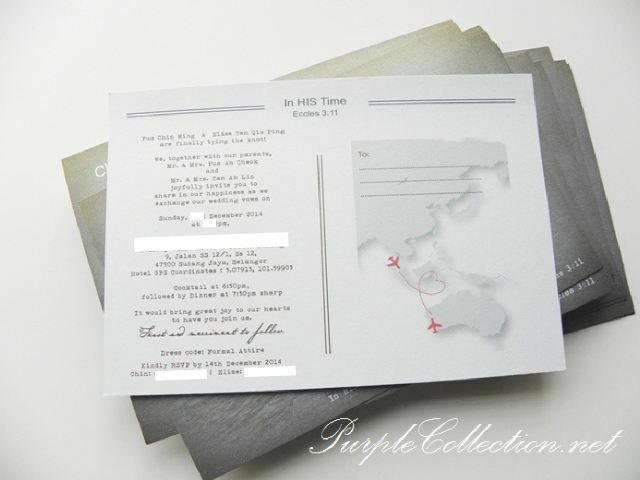 To inquire about postcard wedding invitation printing, please submit your inquries here for quotation.